Minecraft: Story Mode Episode 1- The Order of Stone is a witty, fulfilling game that sets up what I hope to be a very entertaining series. 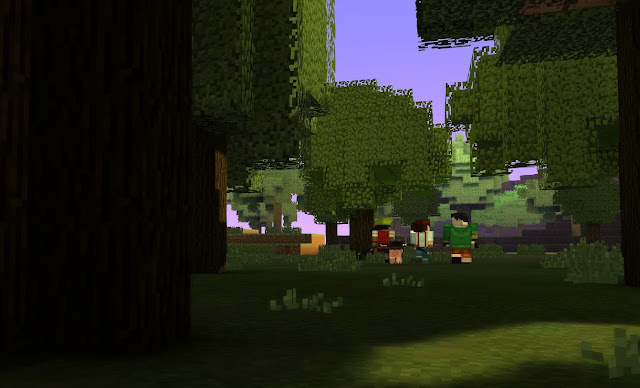 Set in the universe of Minecraft (ahem, hence the name), Telltale's latest series is a more accessible game, aimed at the entire family rather than the strictly adult setting that Walking Dead, Wolf Among Us or Tales From The Borderlands. This is the first Telltale game since 2011's Back to the Future to hold less than a Mature rating from the ESRB but the seasoned developer hasn't lost any of its skill in the change of pace. Players take the role of either a male or female character named Jesse, an aspiring builder hoping to make an impression at Endercon, a yearly expo celebrating all things creative and heroic. In classic fashion, things go horribly awry and a Wither is summoned that begins wreaking havoc on the peaceful attendees and townsfolk. Jesse and his friends are forced to band together find a way to stop it and help the mysterious Order of the Stone. At first, Story Mode struck me as an odd choice for Telltale. I play very little Minecraft myself, but both of my daughters are serious griefers. They spend most of their time harassing villagers, trapping animals in elaborate structures and shooting arrows at everything. With that as my baseline, I couldn't see how to make a coherent story that still felt like it belonged in the same universe. Some two hours later, I have to say that I am really impressed with how faithful Story Mode is to its source material. The crafting system employed in the PC version of the game is wholly intact and is used as a puzzle element several times. 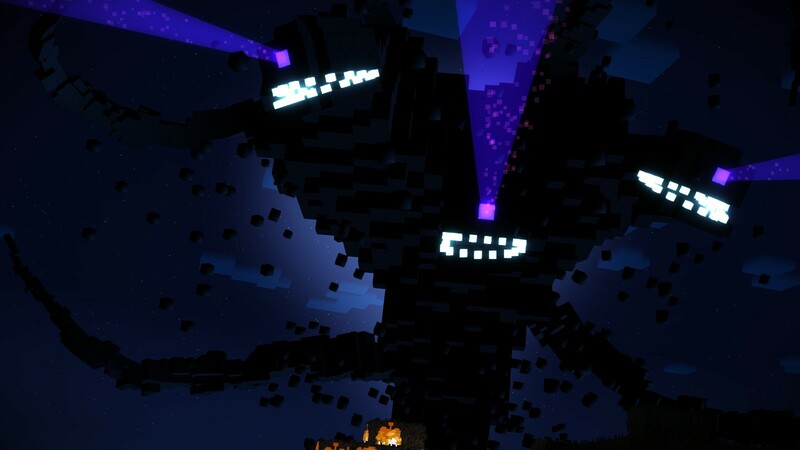 In , The Order of Stone is a a clever nod to the player base; a legendary group of heroes who slayed the ender dragon and embody the four most common types of players in Minecraft; the griefer (called the rogue in game, but we know what you are), the warrior, the engineer, and the builder. I'm on the fence about the way building is conveyed in Story Mode. I had hoped that it would work its way into a couple puzzles, perhaps choosing where certain pieces should go or deciding the types of materials to use. Instead, the process involves little choice beyond deciding what to build and tapping a key while the characters move about, building structures in a kind of time-lapse montage. While I bemoan the lack of customizability, I can understand how much of a slow down if could be for some players. I also wouldn't trade the look of those moments for anything as they perfectly mirror the many building videos that have hypnotized me so many times. One of my favorite things about Story Mode has nothing to do with its fidelity to the Mojang game. Throughout the episode, the mood of the story reminded me of movies like E.T. or The Goonies. The episode is littered with references and Easter eggs to those classic adventure films. 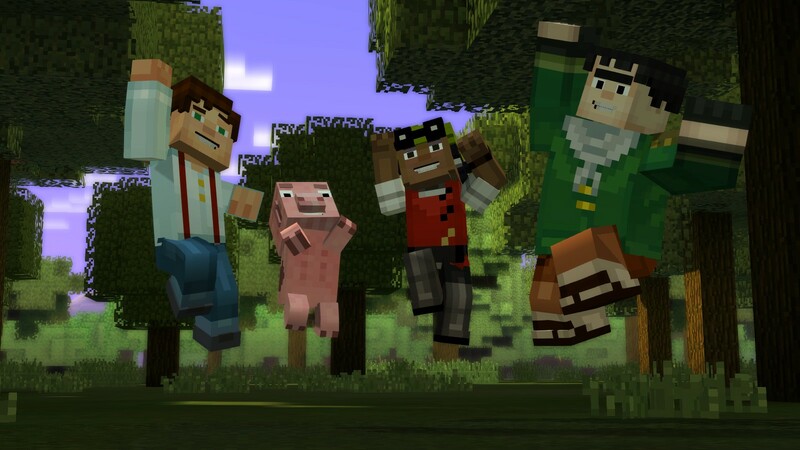 What's great about this atmosphere is that it provides a baseline for older players who, like me are barely/not at all acquainted with the Minecraft universe while still keeping everything relevant for younger players. It probably helps that Olivia, one of Jesse's close friends, is voiced by Martha Plimpton who some of us might recognize as Stef from The Goonies. Minecraft: Story Mode combines the creativity and wonder of Minecraft with the adventure and hope of the movies many of us grew up with. It's a love letter to all the things we wanted to be, do and see when we were kids, built on the shoulders of one of this generation's most versatile outlets for creativity. This is the Telltale game to share with your kids early on Saturday morning. 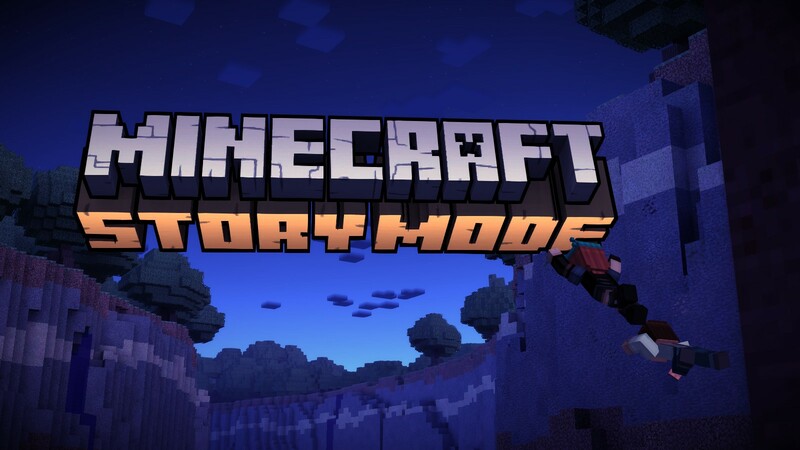 Story Mode is available for a number of platforms including PC, PS3/4, XBox 360/One, Mac, iOS and Android.